The importance of social media to a businesses cannot be fully stressed. Though last week I mentioned that your business should not be built upon the foundation of social media, social media undoubtedly plays a vital role in marketing, networking, and engaging with customers. However, social media is constantly shifting and does not have set rules, and it is therefore no surprise that many businesses make a mess of themselves and their brand over social media. In order to succeed on social media, you need to know how to avoid common mistakes that could damage your image. And if you have already fallen into some social media holes, there are a few ways that you can dig yourself out. That is why below we will look at some very common social media mistakes, and I will give you some quick tips on how to fix them. Social media is a platform where we can spout our thoughts at random, and publicize every intimate aspect of our lives. If you are doing this on your personal account, then that’s well and good. 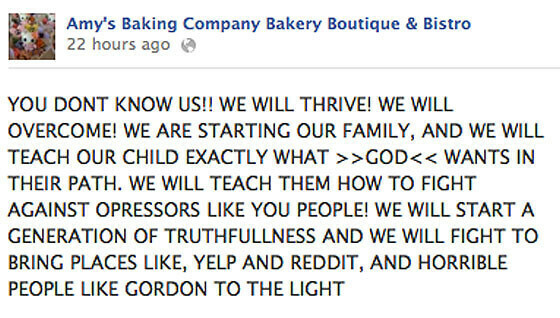 However, if this is the strategy that you are using for your business, then my dear, you are screwed. Fix: Sit down and develop a plan for your social media accounts: Which platforms are you going to use? When are you going to post? What are you going to post? Which audience are you targeting? Which resources can you devote to social media? What results should you expect in a certain time frame? How can you track and measure your success? Your content is what draws your readers to you. If you are a blogger you need good blog posts, if you are an appliance retailer then you need informative appliance reviews, if you are a chef then you need great recipes, if you are a marketing firm then you need up to date industry information…I think you get my drift. A wonky content strategy will cause people to question your entire business, and you will quickly see your Return On Investment (ROI) fall. Fix: Do your research and create a strong content strategy. The content that appears on your social media accounts should effectively engage your audience, help you build relationships, and maximize conversion rates. These conversion rates could be for a subscription letter that you want people to sign up to, or for a product that you want people to buy. While social media has done a great job of bringing people together from all walks of life, it has also removed the human element from interactions. It is therefore no surprise that people talk to each other in a way that would not be considered normal face-to-face. These impersonal interactions are a big mistake, as the people behind the screen names are humans who will be affected by your words and actions. Fix: Take an effort to treat your audience with respect, kindness, and tolerance. Make yourself accessible, and think twice before you post something. An off-hand comment meant to cause no harm can turn into a public relations disaster for your brand. Parting with hard earned money is difficult, especially when your investment will not pay back immediately (if at all). And to add onto this, many businesses have this false belief that money does not need to be spent in an online world. However, refusing to make strategic investments for your social media ventures is a big mistake. Fix: Take a close look at your social media strategy, and determine where investments need to be made. If part of your social media strategy is to build a strong following, then you need to invest in a quality email subscription like Aweber or MailChimp. If you want to increase your social media followers, then you might need to promote your page using paid ads. You should remember that you can do all of this on a budget. Whether you are using social media for networking, engagement, or marketing, you need to be aware that the results of your hard work will be witnessed in the long term. Therefore, ditching your Twitter page after just 3 months is a mistake on your part. Fix: I understand that it can be frustrating to be stuck at 20 followers, or to post articles with zero engagement, but you need to stick with it. Consistency is the key, and you need to follow through on your social media plan even when you see no results. I was stuck at 6 FB followers for a while, thankfully this number is slowly increasing. Either way, I update my social profiles every 1-2 days. There is nothing more disrespectful than ignoring your audience. Whether you are a billion-dollar company or a start-up on the verge of bankruptcy, the needs of your audience and customers should always be your top priority. Fix: Reply to queries and comments quickly and efficiently, as this will leave you with a happy and loyal customer. Moreover, do not try and ignore negative/inflammatory comments, as you will just appear to be dodging concerns from your audience. And if you come across a comment that is unnecessarily rude, have some fun with it and reply with wit. I currently have multiple social media platforms, on FB, Twitter, G+, Pinterest, and even LinkedIn (you can follow above). As a newbie blogger, I am still trying to get my name and my blog out there. However, people will have a problem locating my profiles if my branding is inconsistent. Fix: Have a consistent theme/branding across your social media profiles, so that you can be quickly identified by your audience and customers. If you are not in the position to design professional logos and related branding, then you can use similar pictures and colors on all your profiles like I do. When someone follows me on Twitter, I make an effort to follow them back. However, Twitter has many inactive users and accounts run by robots, so I have to check who I am following so that I do not end up with strange and disturbing links on my home feed. The easiest way to check who I want to follow is to look at their description, as this explains who they are and what they do in 2 short sentences. But then we have the rebels who absolutely refuse to have descriptions of substance. I hope this is not you! Fix: Briefly write down who you are and what your business does, and add that description to your social media account. Platforms like Twitter and FB only require short descriptions, while LinkedIn profiles will take some time to tailor. ‘If you build it, they will come.’ I’m sorry to inform you that Field of Dreams had it quite wrong, as you need to build it and tell people about it before they come. This concept can be applied to social media, where you need to alert people about your social media presence so that they can start following you. For a few weeks my FB followers were not growing, and that is why I now post a link to my FB page in different FB groups. Fix: If you want traffic to come to your social media profiles/pages, then you need to have a strategy to gain engaged followers. This strategy could include paid ads, following others and waiting to be followed back, networking with other people in your field, and/or joining groups. Social media platforms are exceptionally flexible, and you do not have to post the same type of content time and time again. You can choose to be fun and casual with your audience, in order to connect with their more relaxed side. However, your efforts should be in line with your brand. I try and post once a day on my Twitter page, but I have seen people who post every single hour. I have so many questions for you: Where are you getting all of these posts to share? Aren’t your thumbs hurting? Do you have a social media addiction? Does your boss know why you haven’t yet submitted your report? What is the point of this? Fix: If this sounds like you, then you need to focus on providing quality content. It is better to post once and get 10 people engaging with you, than to post ten times and getting one person engaging with you. Furthermore, if your audience regards you as a source of spam, then they will ignore the good posts that are hidden among the poor posts. If you are a start-up business on a budget, then you are probably handling all the social media aspects of your business. However, when the cash starts pouring in, you have the ability to delegate some tasks to your employees. This also means that whatever is posted on YOUR social media accounts under YOUR name, will be dependent upon their judgment. Fix: Vet your social media managers so as to avoid PR nightmares that come as a result of employee incompetency. Mistakes will be made (this is inevitable in any business), however, with the right hire these mistakes can be kept at a minimum. Fix: Focus on organic growth, which comes as a result of hard work, commitment, and strategic promotion. DO NOT buy likes or followers as this does not grow your brand. You would rather have 300 engaged followers than 30000 inactive followers. P.S. Social media platforms like FB are on the hunt for all deceitful businesses that pad their likes with fake fans. Creating and selling a product is a big achievement, which requires the involvement of your audience and customers. 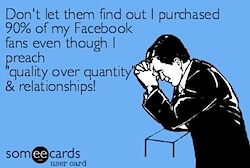 However, constantly pushing your products in the faces of your social media followers is a bad idea. We get it, you just published your e-book, but please stop posting it every 30 minutes. Fix: Create a marketing strategy for your product, in which you can advertise your product effectively without annoying your customers. You can use the 80/20 principle of social media, whereby 80% of your posts include informative content, and 20% include self-promotional links. Remember, social media platforms are not free billboards, but rather means to build meaningful relationships. As I mentioned earlier, I have social media accounts on FB, Twitter, G+, Pinterest, and LinkedIn. I do not believe I have spread myself too thin, but it is tough work posting and engaging consistently on all platforms. When you create too many accounts, you do not get optimum results on any platform. Fix: Choose between 2 and 5 social media platforms which will benefit your brand. Focus your efforts and resources on these platforms, so that you can maximize on traffic, engagement, and revenue. Come on now, why the hell is there a hashtag after every word? How many times have you seen this: Went shopping today #family #shoes #froyo #love #summer #blessed. Please, it’s difficult to read and it’s unnecessary. Hashtags were created to start a discussion around a topic, not to make your followers go cross-eyed. Fix: Use hashtags sparingly, and only include them to highlight a point. My advise would be use a maximum of 3 relevant hashtags on any one post, as this is easy to read. Twitter does not have an edit function, meaning that you cannot amend any statement that you put out there. That huge spelling error you made- all of your followers will use it to judge the literacy of your brand. Sure you can delete it and start again, but who wants that hassle? Fix: Proofread your posts before you publish them, and this won’t take more than a few seconds. Edit any spelling errors and confusing sentences, and rewrite it if it makes no sense. In this way you can avoid embarrassing yourself on a global stage. Different social media platforms serve different purposes. Instagram and Pinterest do well for visual content, Twitter does well for short messages, FB and G+ do well for longer discussions, and YouTube does well for videos. While you can share your posts across these different platforms, automatically sharing tweets on FB, or FB posts on Twitter is messy. And if you’ve ever seen a FB post with @so-and-so, then you know what I’m talking about. @ is for Twitter and Instagram, not FB and G+. Fix: Tailor your content to each platform. You can share short and inspiring quotes on Twitter, you can create competitions on FB, and you can start discussions on G+. Do not copy and paste one piece of content on all your platforms as this is lazy. P.S. The exception to this is when you are promoting your own content, however, remember to tailor it so that it appears neat. As you can see, there are many mistakes that you can make on your social media accounts. By knowing what these mistakes are you can avoid them, but if you do mess up and commit one of these mistakes, use the tips above to fix them. I urge you to put time and effort into your social media accounts, as they are a big reflection of what your brand has to offer. Before you leave remember to share these tips with your friends, and drop a comment telling me about your biggest mistake. Also sign-up to my super exclusive newsletter, which alerts you to everything Business Broken Down related. And if you love this, you will definitely love my post on 50 blogging mistakes using TV/Movie quotes. Have a great week, and I hope to see you again next Monday. These are great tips. I would also add to watch what you like and Share as it can be a reflection of you and your business. Thank you for your kind comments. And I agree with your point; endorsing someone else’s social media mess is a bad move. Wonderful post about social media mistakes. You have listed almost all the big social media mistakes which many brands make. Social media sites like Facebook, Twitter are the best places to find new customers and readers. Avoiding these mistakes may lead huge profit in sales and traffic. 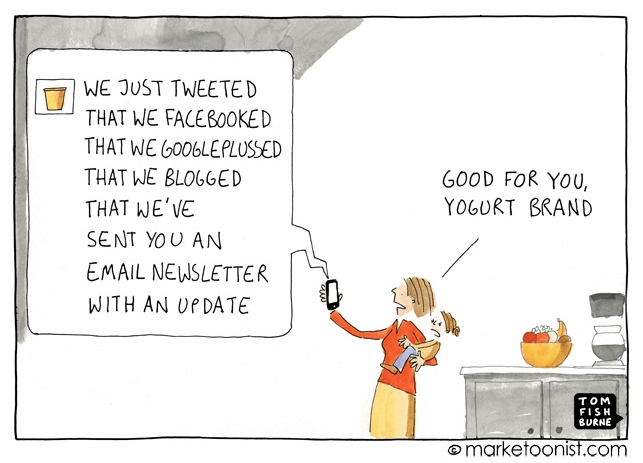 The most common mistake is ” Not updating their audience regularly “. I have seen so many Facebook pages where I don’t find any engagement because those pages don’t update regularly and that’s why people don’t engage with them. Brand owners should understand that If they will not entertain their audience then they will kill their business completely one day. So they should completely avoid doing these mistakes. P.S. Sorry for the late reply, the comment was placed in the spam folder.